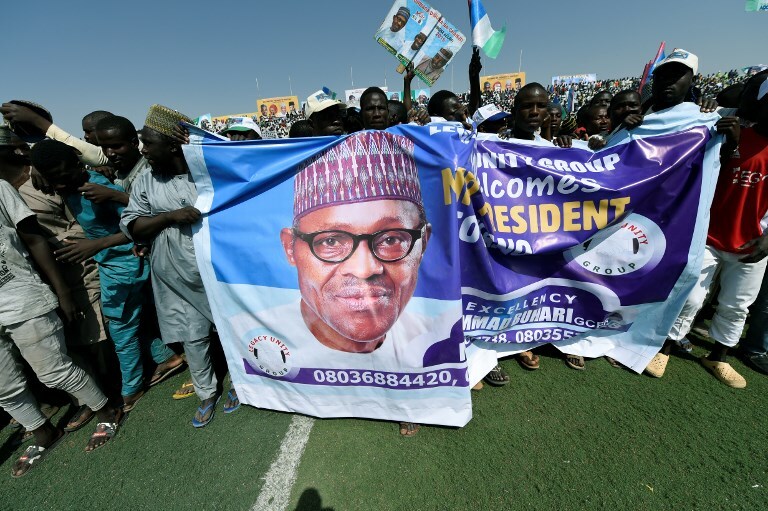 Nigeria chooses its president on February 16, in a general election that will see 23,316 candidates compete for 1,558 vacant elective seats, with 84 million people registered to vote. Yet for all that, nothing much is expected to change. The run-up to the vote has been typically chaotic, with politicians trading insults and swapping parties even as security concerns hamper the electoral commission’s preparations. Doubts have already been raised about the election’s credibility, especially after President Muhammadu Buhari – who is running for reelection – unexpectedly suspended the country’s chief justice last month. It is the chief justice who will ultimately rule on any election-related complaints, and lawyers’ associations have condemned what they see as undue political interference. For the candidates involved, and the parties that back them, the stakes could not be higher. Whoever wins will find themselves in control not just of Africa’s most-populous country, and the continent’s largest economy, but also of the sprawling patronage network that has defined successive administrations for decades. For everyone else – and assuming that election day passes without violence – the stark truth is that the result probably does not matter all that much. For better or worse, the two frontrunners are cut very much from the same cloth. Both are in their 70s, both are entrenched in the country’s political aristocracy and neither boasts a track record that suggests they have the capacity to deliver real change. The incumbent, Muhammadu Buhari of the All Progressives Congress (APC), has served one term as a democratically elected president (he previously served two years as an un-democratically elected president, after coming to power in a military coup in 1983). His much-hyped war on corruption has failed to deliver any meaningful scalps, while his more literal war against Boko Haram has failed to wipe out the Islamist militant group as promised. In the meantime, under his stewardship, economic growth has stalled, while poverty has increased to such an extent that, in 2018, Nigeria overtook India as the country with the highest number of extremely poor people in the world. That number, by the way, is 87 million people, or 45 percent of the population. His main opponent, the People’s Democratic Party’s (PDP) Atiku Abubakar, was vice-president of Nigeria under Olusegun Obasanjo’s administration from 1999 to 2007, and faced multiple accusations of corruption in that time. This is his fourth tilt at the presidency. Less than 18 months ago, he was a senior member of Buhari’s ruling party, and it is hard to escape the sense that his sudden switch of allegiance had more to do with his personal ambition than with any genuine policy differences. Although there are dozens of candidates on the ballot, this is very much a two-horse race. “Despite both being unpopular in different ways, the two men in their 70s have the political and financial backing of [their parties]. In Nigeria’s big-money elections, the chance of a third party causing an upset against these behemoths is negligible,” said Caleb Okereke, an analyst at African Arguments, a commentary and analysis website. Unreliable opinion polls give Buhari a slight edge in the run-up to the vote. A far more interesting election, in fact, will take place just weeks after the presidential vote, in Lagos state, which despite being the country’s smallest state is its economic engine. From a business perspective, this is really the race to watch, as decisions made in Lagos are arguably more significant than those made in the national capital of Abuja. If Lagos were a country, its $90 billion GDP would make it the seventh-largest economy in Africa, ahead of powerhouses like Kenya and the Ivory Coast, according to statistics compiled by Quartz Africa. This, in conjunction with Nigeria’s devolved system of governance, which gives sweeping powers to state governments, means that the position of Lagos governor is the most powerful in the country – with the exception only of the presidency itself. The bid for reelection by Governor Akinwunmi Ambode, did not get past the party primary stage, as he lost the APC nomination to Babajide Sanwo-Olu, a career politician. Sanwo-Olu goes into the race as favorite: Lagos has been controlled by the APC or the party’s forerunners since 1999. His signature promise is to fix Lagos city’s notoriously gridlocked traffic within 100 days of taking office. His main opponent is the PDP’s Jimi Agbaje, who lost to Ambode in 2015. Still, from outside the country, there is a distinct lack of anticipation in the run-up to Nigeria’s election season. None of the major candidates are advocating for the major reforms that the country’s political system and economy so desperately need. And even if they were, they have all been enmeshed in that system for so long that their promises cannot be taken at face value. So, no matter what happens, jaded Nigerians know what to expect: more of the same. And that is unfortunate. Simon Allison is the Africa editor for the Mail & Guardian in Johannesburg. He is also a research consultant for the Institute for Security Studies, which has offices in South Africa, Kenya, Ethiopia and Senegal.